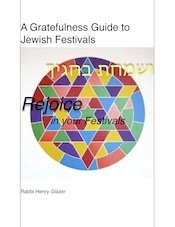 I teach prayer and Rabbinics to children in grades 1-4 in the Gerrard Berman Solomon Schechter School. 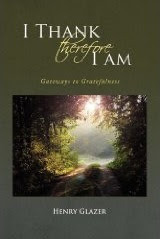 This year I introduced a brief practice that I hope will enliven the student's awareness of gratefulness in her life. 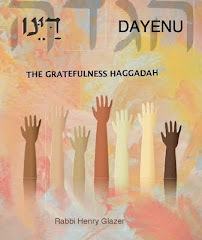 Before a brief discussion of the Torah portion to be read on the coming Shabbat, each student takes a blank sheet of paper, or opens to a fresh page in a "Gratefulness Journal" and writes or draws what he/she is particularly grateful for at that moment. At the end of the year we will review the compilation to better perceive all the things that elicit in the child's awareness a sense of thankfulness. Yesterday, as I reminded the class of our procedure, one youngster replied somewhat perplexed and feeling put upon: "Didn't we do this last week?" 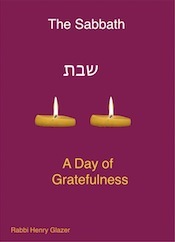 Little Alec raised a good question-Is gratefulness something we do only occasionally? Why must we say thank you everyday? My reply tried to concretize the reason for regularity and repetition. "Do you wash your hands every day?" I asked. "Because our hands get dirty." I then proceeded to try and draw the analogy of washing hands to thinking about being grateful. Our minds and hearts become"dirty" with a sense of taking things for granted, perhaps contributing to a sense of undeserved entitlement which interferes with our personal emotional and spiritual growth. 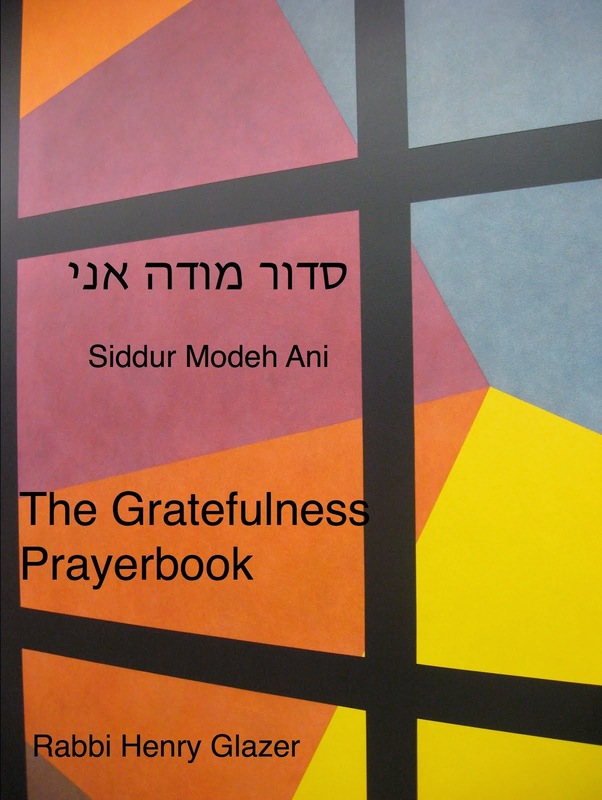 The Rabbis, the spokespeople for Judaism's tradition of spiritual wisdom , made prayer -the expression of gratefulness- a daily and on-going requirement for the religious life of the Jewish people. All religions, for that matter, insist on continuity of daily prayer as an integral part of a person's spiritual experience. One may ask further-can we teach gratitude to a first grader? After all, their worlds are somewhat circumscribed, and their view of gratefulness can only be a narrow one. To me, if each week the child draws a picture of his family as the object of gratefulness, it represents a further awareness of family as a precious gift in this child's life. Indeed, it would not at all be a bad idea if adults as well could set aside a moment of gratefulness for their families each day. The impact of this minor gesture on the quality of family life could be quite significant. To teach is to learn, of course, and I honor my moments of bringing the opportunity of recording a reason to be grateful to each and every child in those grades. My hope is that the spoken phrase-thank you-become a deeply felt attitude in their hearts and minds.